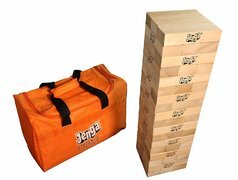 Jenga is one of the most popular games in the world and now you can take it to a whole new level with our giant version of the table top game. The biggest Authentic hardwood Jenga game ever sold! 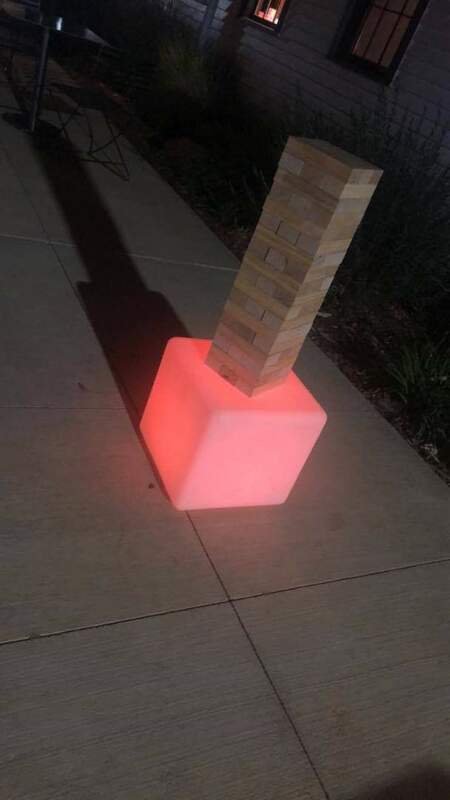 Can stack to over 5 feet high in play! Now it's a SPORT! Fun to Play! Exciting to watch! 54 Precision crafted polished hardwood blocks, each one nearly 15 times the volume of a Classic Jenga Block. For one or more players, ages 12 to adult.